Sarah Clendenin is the Office Manager and Program Coordinator for the CDCSP program. She has been with PC&A since 2004. Her background is in marketing and program development. These skill sets have incorporated well into her duties at PC&A. She handles the billing and insurance approvals for the clinical work at PC&A and is the primary contact for referral sources and patients. 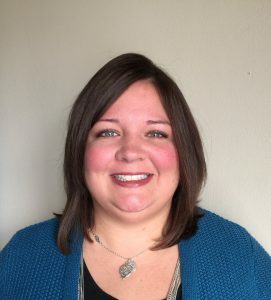 She manages the administrative functions for the Children with Disabilities Community Services Program and communicates with parents, guardians, and local DHHR offices regarding a child’s eligibility and Levels of Care in West Virginia. She has oversight of all the Hearings at PC&A and coordinates with the Board of Review, expert witnesses, and attorneys. Sarah is a native of West Virginia and is happy to raise her two sons in her hometown of Nitro. She has been married to her husband, Michael since 2003. They recently added to their family when they adopted their chorkie, Bailey.